This is when oil rates have come down globally. Petrol prices shot up to a four-year high of Rs 73.73 per litre on April 1 in Delhi, while diesel rates soared to Rs 64.58. The last time prices were this high was in September 2014, when fuel prices were up globally. In the four years since, oil rates have come down in the international market. But the Indian consumer is untouched by the relief. 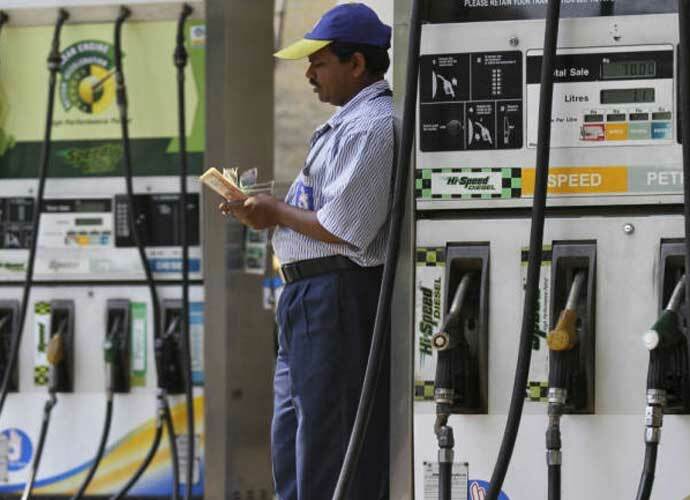 So why do fuel prices in India refuse to come down, and who is to blame for it? The answer involves our complicated taxation system, the governments’ – both Centre and states’ – heavy reliance on fuel as a source of revenue, and the total lack of renewable sources of energy as an alternative in India. Since June 2017, state-owned oil firms have been revising auto fuel prices daily based on international trends. Earlier, prices were fixed by the government at regular intervals. This led to the oil marketing companies having to sell oil products at a price at which they incurred under-recoveries. The government compensated a part of these under-recoveries. And due to this the government expenditure and in turn, the fiscal deficit went up. While the new pricing policy has prevented sudden shock hikes, the cost of fuel has steadily climbed up. Some lay the blame for the steep prices squarely at the government’s door. According to the Press Trust of India, more taxes are levied on petrol in India than other, poorer south Asian countries, as both the Centre and the state collect a share. Calls have been made to finance minster Arun Jaitely for reducing the custom duty on crude oil and the excise duty on refineries, which will automatically bring down prices. However, the demand was ignored in Budget 2018, which some say was fiscally a prudent decision. The excise duty was raised nine times between November 2014 and January 2016, even as global oil prices fell, to strengthen the government’s coffers. The tax was slashed once in October 2017 by Rs 2 per litre, but it cost the government Rs 26,000 crore in annual revenue and about Rs 13,000 crore during the rest of the current fiscal year. After it cut rates, the Centre had asked states to lower the value added tax (VAT) they charge, but just four of them — Maharashtra, Gujarat, Madhya Pradesh and Himachal Pradesh — heeded the call. No matter how high prices climb, demand for fuel in India stays steady. While this has led to people like Union minister Alphons Kannanthanam say that those who can afford to pay for a vehicle can afford to pay for fuel too, that is a reductive and erroneous assumption. It is not just private vehicle owners who use fuel – it is needed to ferry essentials such as vegetables and grains from rural areas to towns, it is powering small businesses in urban areas, it is, indeed, the lifeblood of Indian economy. The logic for high taxes on fuel is that the money is used for infrastructure projects and other key government investments. But at the current rates, the process becomes a zero sum game, money is put into the system and then taken out of it by the government. However, due to the the lack of viable, alternative sources of fuel and transport means consumers continue to foot the bill for fuel, no matter how steep. Another solution to cut state and Centre-specific taxes would be to bring petrol and diesel under the common GST, a demand that has often been put forth. The problem, as a Business Today article points out, is that “the effective sales tax on fuel varies wildly from state to state. For instance, Maharashtra charges 40 per cent on petrol while Andaman and Nicobar charges just 6 per cent ad valorem. The effective sales tax on diesel ranges from 6 per cent to 29 per cent.” Any attempt to make prices uniform will mean a drastic rise in petrol costs in some states, or massive loss in revenue for others. The rate of fuel in India is linked to far too many economic and political constraints. Thus, for the common man, there seems no way out of the problem at present.